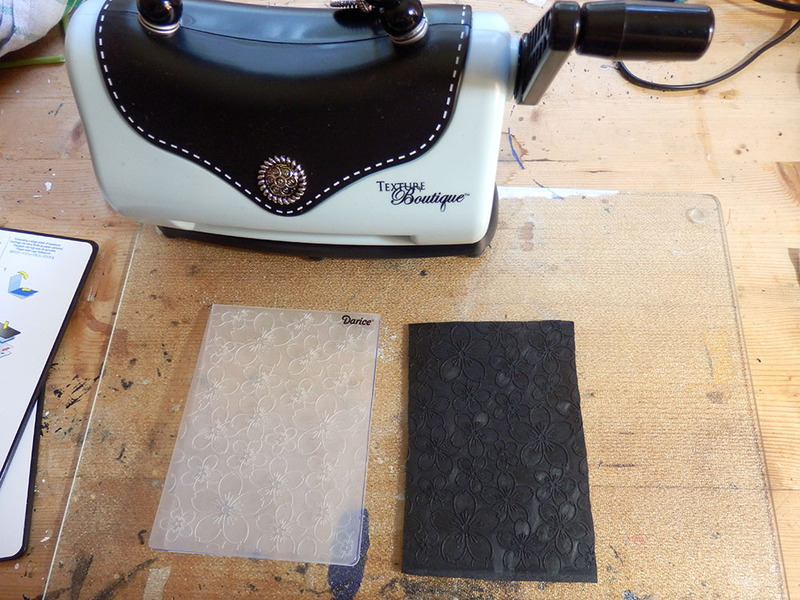 It is actually a very simple process if you happen to own an embossing tool like a Sizzix (I own this one) You simply cut the Worbla to the size of the textured impression folder – that’s the plastic thing on the left. 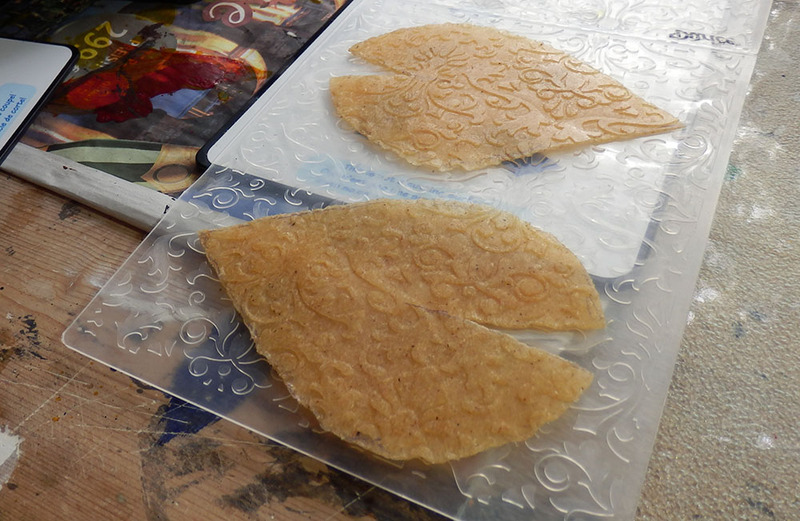 Then you warm up the Worbla, don’t overdo it, and place it in the folder and run it through the machine. You can see above that it works with Worblas Finest Art, Worblas Black Art and Worblas TranspaArt. 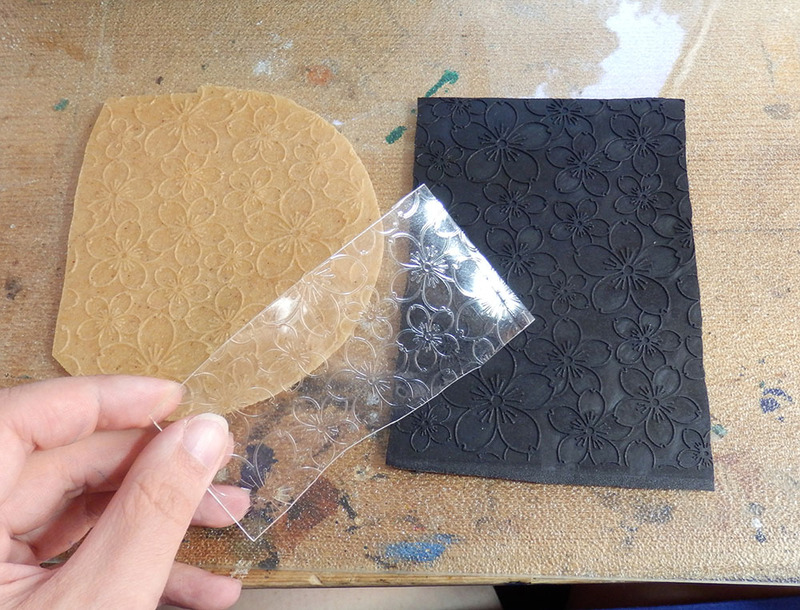 Once you’ve embossed the Worbla you can reheat it and form it into any shape you want as long as you don’t press on it too much. 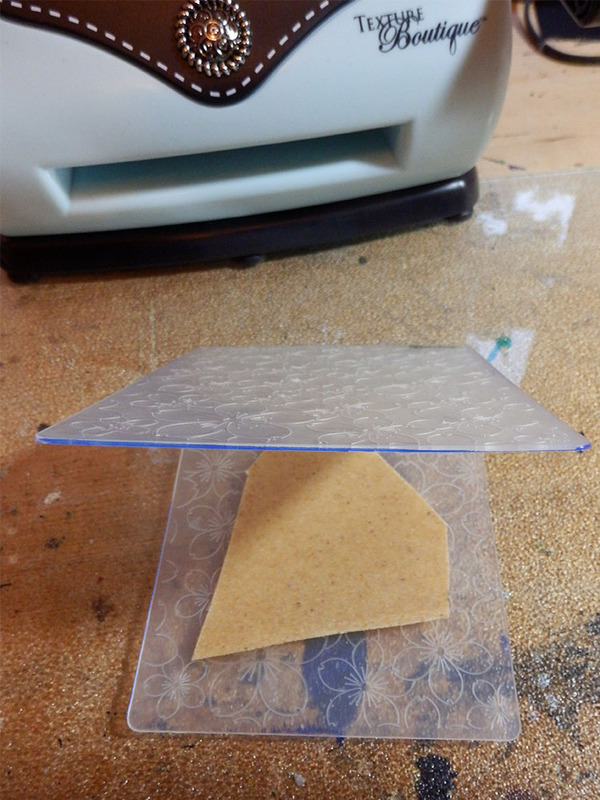 When I first tried this I was concerned that the Worbla might stick to the folder after having been pressed onto it so hard, but if you let the WFA cool down a little before you open the folder, there’s no stickiness problem at all. With WBA and WTA you don’t even have to wait for it to cool because both materials are less sticky than WFA. 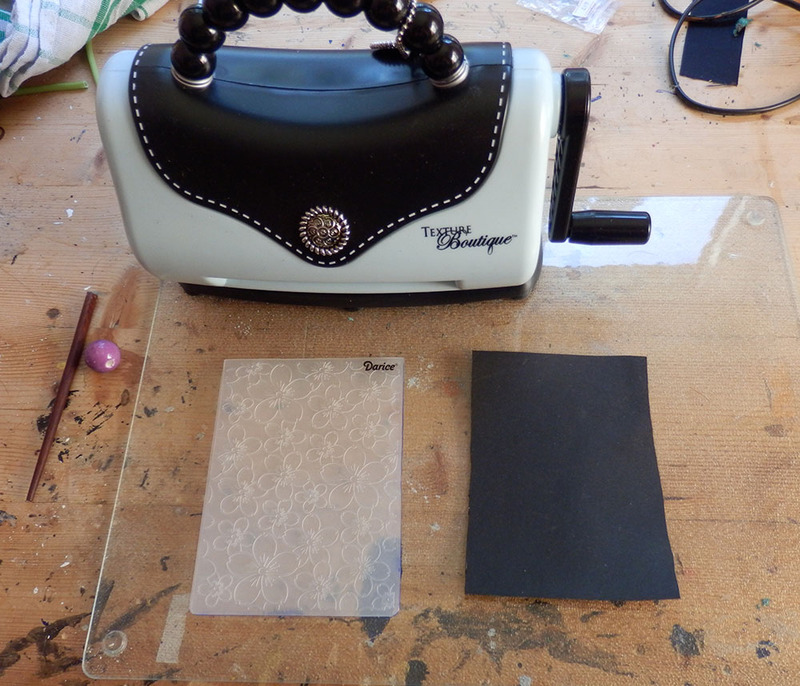 The staff itself is a paper tube, thickened at the top and bottom with foam and then covered with WFA, which I embossed with my Sizzix embossing tool. 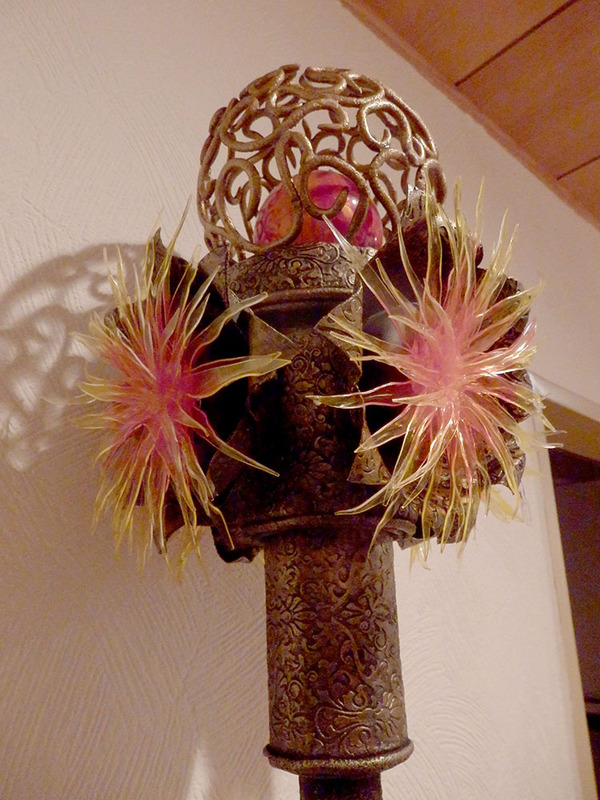 The glowing flowers are made of WTA that I first painted with yellow glass paint, then cut to size and heat-shaped before hot gluing it onto a push-light. 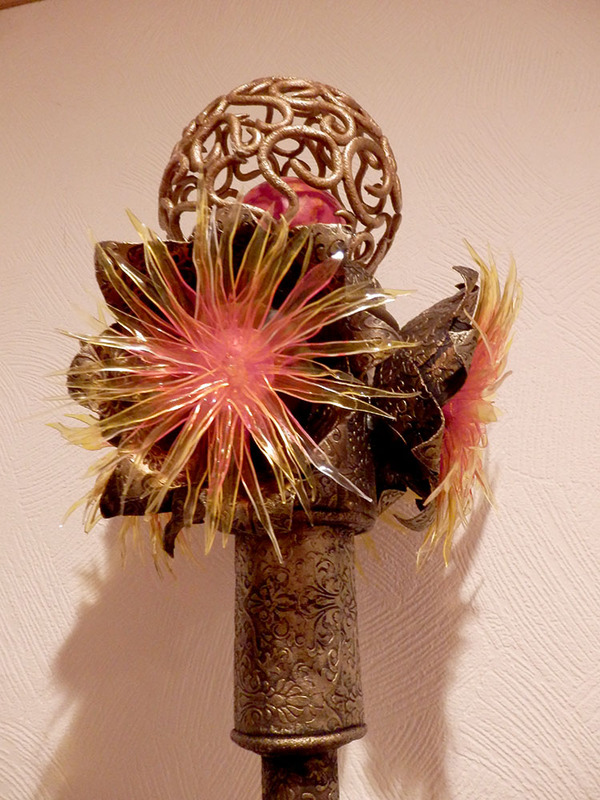 The petals around the flowers are once again made from WFA. 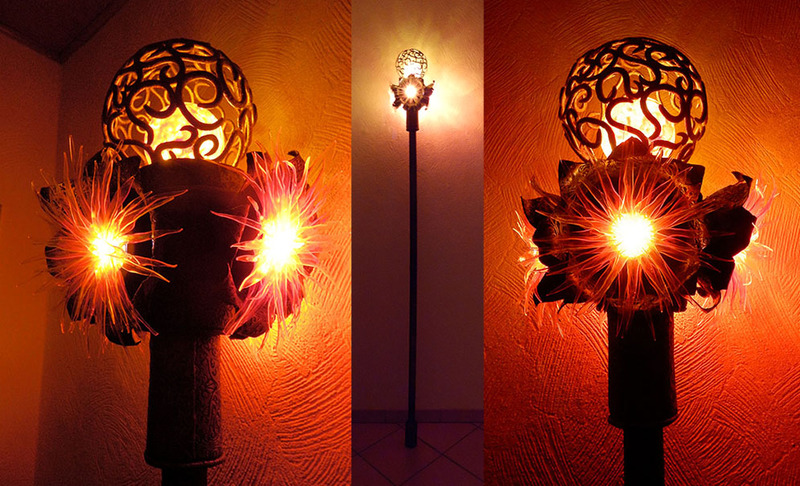 On the staff is an acrylic sphere filled with a Mini-Led chain and painted with glass paints. 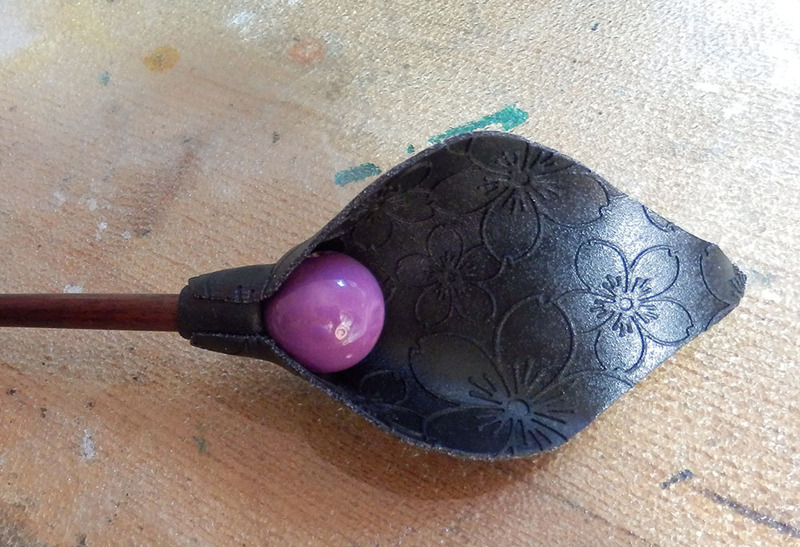 The cage sphere around that is made from leftover WFA rolled into long strings and formed over a bigger acrylic ball. With thanks to Xaljira Cos(tumes) for sharing this with us!